When it comes to economics or production, immediately everybody starts thinking of big industries, large-scale production and international markets. Unfortunately, this happens because these beliefs are spread in the imagination and collective culture as the only way to generate wealth and well-being of society. 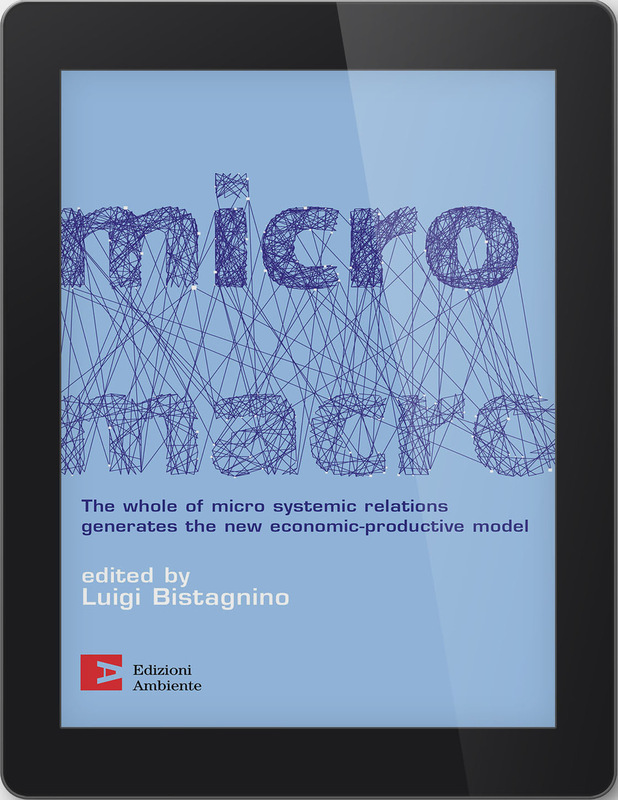 In MicroMacro, the Author explains how to build a relational model among the stakeholders that leads to a new economic-productive paradigm with positive social repercussions, improving overall well-being. The key lies in the System Approach, a method which clarifies the conceptual scope and the essay itself is an example of real cases. The text consists of a central essay around which various experts – like Bernard Lietaer and Gunter Pauli – offer another vision to address the critical reading of current problems and to spread a culture that considers the creation of interconnections as a wealth. Imagine a virtual round table in which the author proposes a reflection on which to work to offer a new cognitive path, a collective discussion of the vision proposal that opens the confrontation between the various subjects. The result of this dialogue generates the definite draft of the propositional essay that contains hypertext links that lead to the individual thematic insights of the various experts. The text is accompanied by conceptual graphs of the topics discussed, which, like the words in a comic book, help to form a unicum narrative of deepening. Moving from one area to another suggests that you begin to see reality from different angles, to dialogue with different disciplines, to get used to formulate our vision after hearing the opinion of many. Only in this way, in fact, multidisciplinarity is progressively realized, the first step in building the system.